Let your arborist handle the tricky work. Have you ever needed an arborist for your tree-care needs? 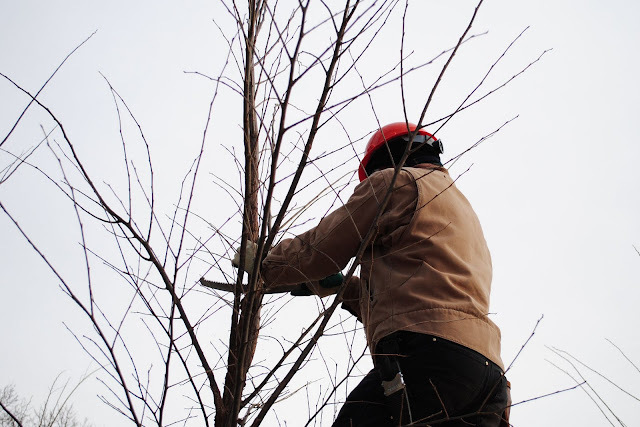 While most people are capable of tending to their trees’ most basic needs like watering and mulching, more technical or sometimes dangerous tasks should be handled by a certified arborist. Tune in tomorrow, Thursday June 9 at 12:00 PM EDT for a live, online discussion with MAC-ISA Board President Todd Nedorostek on the benefits of hiring a certified arborist. To submit a question in advance, email treedc@caseytrees.org or tweet @CaseyTrees. Tree Talk Thursday is held regularly on the second Thursday of the each month from 12:00 to 1:00 PM EDT and can be accessed here. Suckers - One Born Every Minute? Thank You, Advisory Board Volunteers! Thank You, Independent Sector Volunteers!